New products in the US! 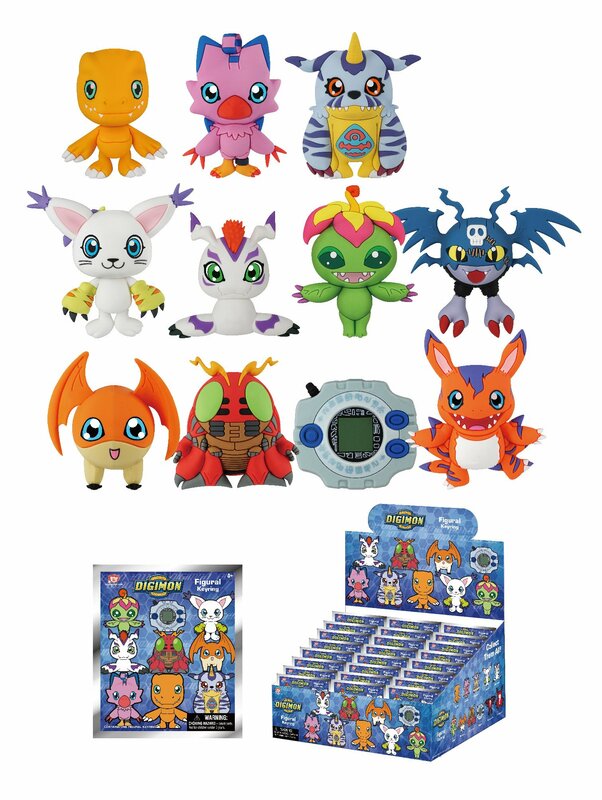 Monogram Direct has announced blind bag Digimon keyrings will be coming soon. But they're coming out soon! We're waiting on more details, but here is what we know at the moment. These are figure keyring/keychains on a chain, with 9 available as normal (the 8 partner Digimon and the digivice) with DemiDevimon and Elecmon as chase/mystery releases for a total of 11. The art above appears to be flat renders of the keyrings, as images of releases for this product line appear properly 3d. 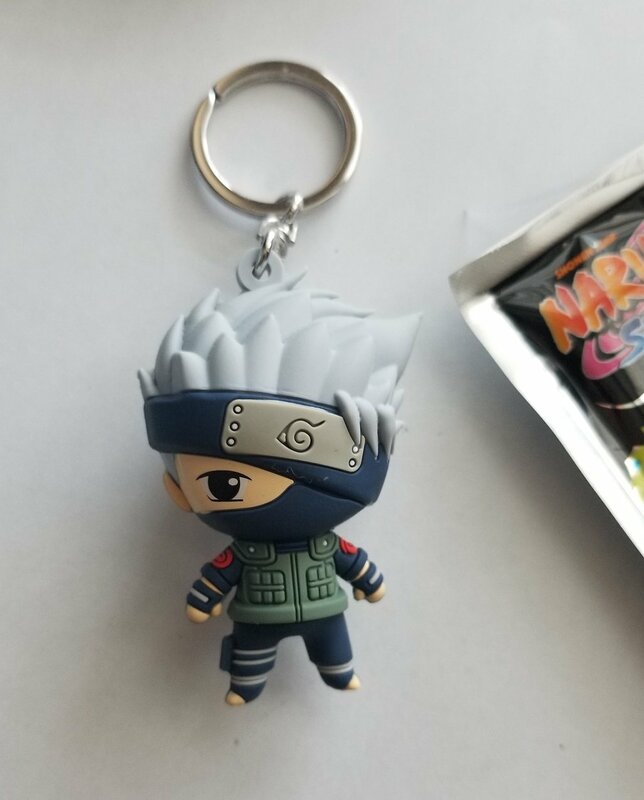 A photo of the Kakashi one from Monogram's Naruto version of what appears to be the same series of keyrings. Monogram's page does list them as being part of the 3d line (still showing the general character art). Although we don't know exactly what the Digimon ones will look like at the moment, as flat keychains with some some 3d-ness aren't uncommon. The MSRP for each blind bag should be $7 and they'll begin to show up on shelves later this month. Overall they look nice, although the flat rendering of the images doesn't benefit Agumon's face, who almost appears more akin to a live action Mario movie Goomba. Assuming they are in fact fully 3d, it'll be nice to see how they look from various angles and what kind of details appear. Hopefully more info to come and we will update once we hear back. Update- Made the mention of us not being sure 'what' kind of 3d these are more prominent. Update- Added some information provided by Monogram about the price and release period. Ugh with blind bags. I just want a dang digivice without having to buy a bunch and hope. I'm surprised to see Elecmon and DemiDevimon. Nice they included others, although if they're doing rookies - where's Chuumon!? Oooh, I like that Elecmon one. I'm not normally a fan of DemiDevimon, but he looks nice as a keyring. Blind bags though, eh? Pass. Last edited by Muur; 01-04-2019 at 05:29 AM. Just in time for the show’s 20th anniversary in the USA.